A corkscrew is a common item that could be easily overlooked, until a bottle of wine needs opened. Whether your establishment sells wine by the glass or by the bottle, a corkscrew will be needed to cater to your customers' needs. 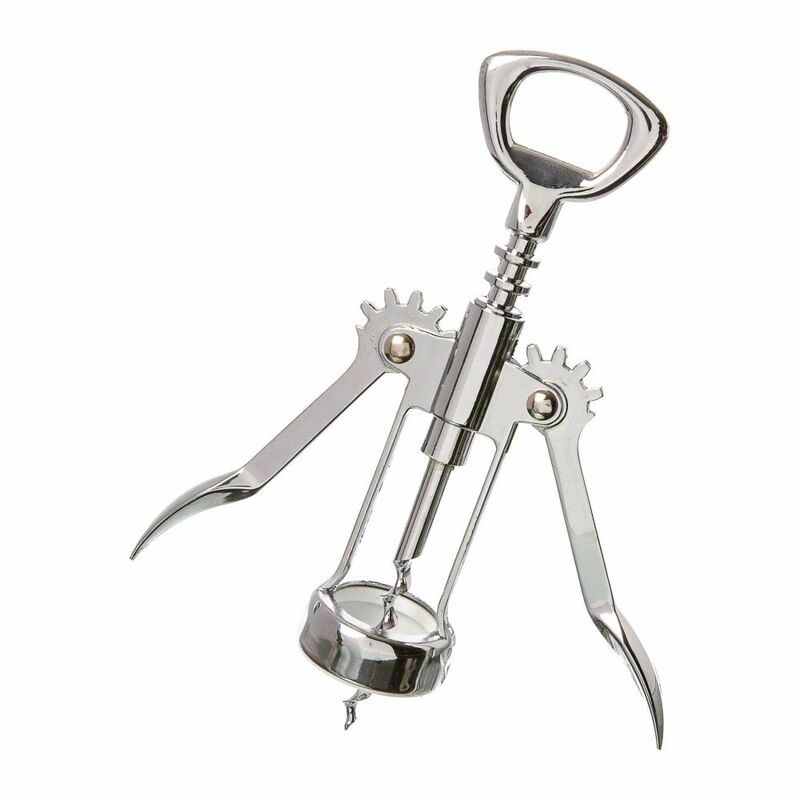 This hand-held, two-wing stainless steel construction facilitates easier bottle opening than conventional corkscrews.